Actress Sissy Spacek got an Oscar and a Golden Globe for her role in Coal Miner’s Daughter, and actor Tommy Lee Jones got a Golden Globe nomination for his work. 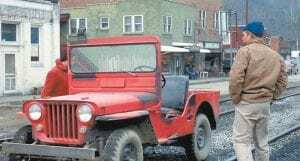 Letcher County residents got the memories of being in a major motion picture. Released 37 years ago, Coal Miner’s Daughter, based on the autobiography of legendary country music singer Loretta Lynn and her rise to stardom from a childhood in the Van Lear coal camp in Floyd County, was the nation’s No. 1 film in spring 1980. The movie was filmed largely in Letcher County and the surrounding area, including a scene that depicted her first public performance in Washington state. 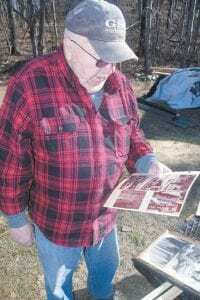 Blair was one of dozens of Letcher County residents who found temporary work as extras, providing background for stars that included Spacek, Jones, Levon Helm and Beverly D’Angelo. 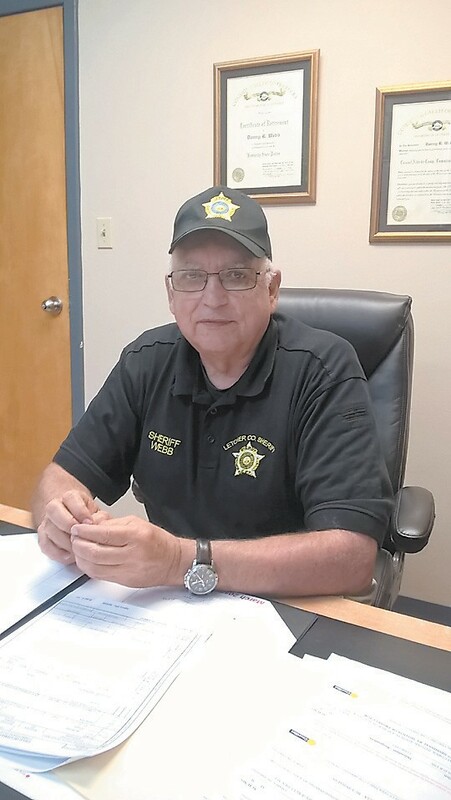 Letcher County Sheriff Danny Webb helped watch over actors for the movie. Olivia Maggard Sprouse of Eolia, who now lives in Georgetown, was a young social worker in Whitesburg when a college friend who worked at the Kentucky Film Commission called to ask her if she would help them find places to shoot the movie. 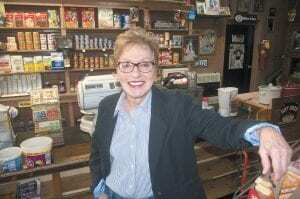 Sprouse said author and New York Times sports columnist George Vecsey, who was listed as a contributor to Lynn’s autobiography, Coal Miner’s Daughter, had visited Whitesburg before, so it was already on the radar of people involved in the film. Sprouse took a leave of absence from Social Services in order to help the film commission, and spent days on end traveling around eastern Kentucky and southwest Virginia. “We started working on it in 1978, scouting locations and preproduction,” she said. 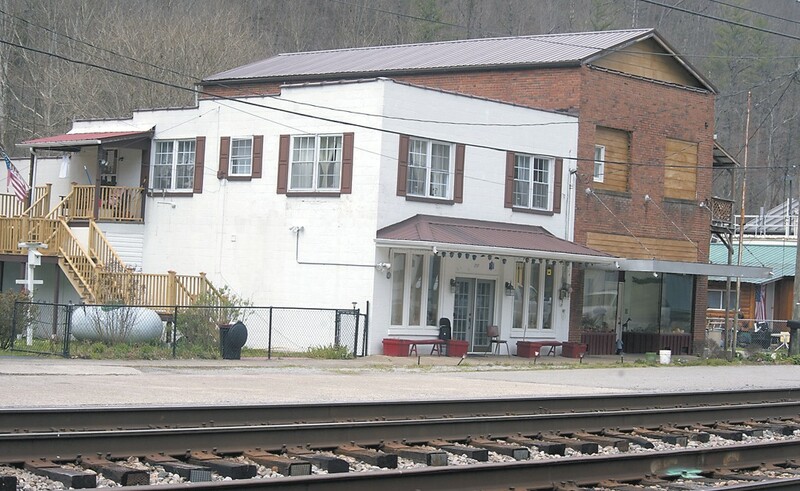 The locations included Blackey, Eolia, Flatgap, Bottom Fork, Redfox in Knott County and Pardee, a former coal camp on the Virginia side of Black Mountain. Interiors of Lynn’s childhood home were shot in a warehouse in Norton, Va. 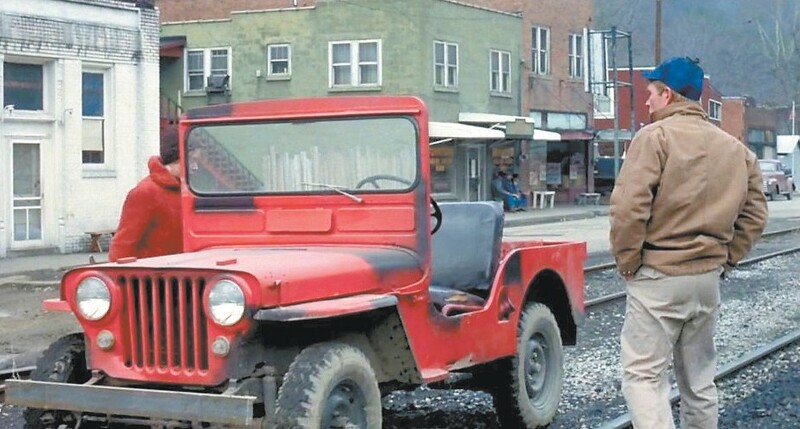 Above, Loretta Lynn (Sissy Spacek) and Doolittle Lynn (Tommy Lee Jones) get into a Jeep on Main Street in Blackey in 1979 in a still from the movie. Below, Main Street of Blackey in 2017. Only two of the buildings in the above photo still remain. As for the extras, many were Kentucky Department of Protection and Permanency employees and their families who were cast almost by accident. Blair said a lot of people in the county began to worry that the movie would put eastern Kentucky in a bad light, and that made the filmmakers think their movie might be in trouble. “Olivia called me on a Sunday evening, and they were worried nobody would show up,” Blair said. 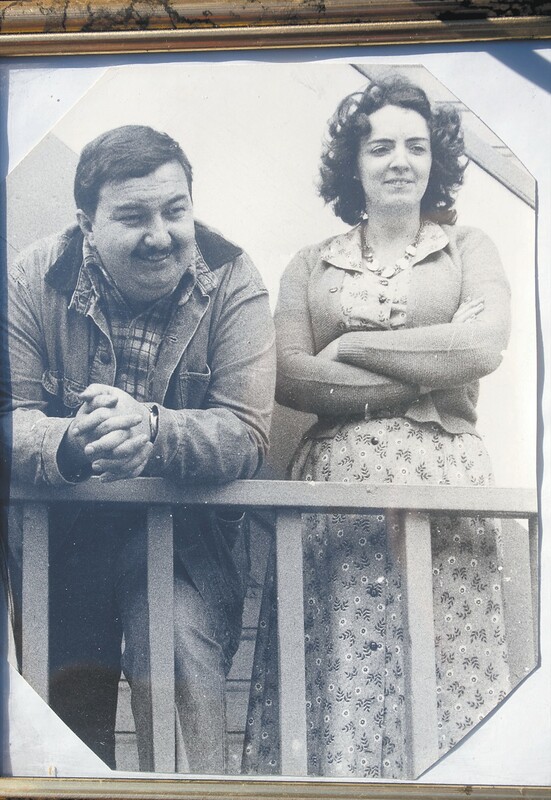 He, his wife Peggy, and many others in the Whitesburg office of Social Services showed up, and were immediately turned into makebelieve residents of 1950’s Van Lear. And many of the people whom filmmakers were worried wouldn’t turn out, did in spite of their concerns. “Letcher County was well represented in that, and I think it was pretty positive, but there was a lot of angst, because we thought we were going get ‘Christmas in Appalachia’ again,” Blair said, referring to a CBS News documentary from 1964 that highlighted the poverty and poor living conditions around Whitesburg. Interviewed in the store, Sprouse points out pictures of Sissy Spacek, photos of the store as it appeared in the movie, and of locals who landed roles in the film. “We were young then. Sissy was young, Tommy Lee was young and wild,” she said, rolling her eyes and laughing. 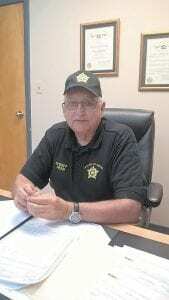 Danny Webb, now Letcher County Sheriff but at the time a Kentucky State Police Trooper, laughed at the description. Webb was assigned by the KSP’s Frankfort headquarters as a bodyguard for Spacek, then 29, and Jones, then 34, and worked 16-hour days on the set, blocking traffic and watching over his two celebrity charges. His youngest son was a year old at the time. “I’ve got a picture of somewhere of Tommy Lee holding him,” Webb said. He and Sprouse recalled one day while filming in Virginia when Jones didn’t show up on the set on time and filmmakers learned he had been drinking the night before and had been arrested. He said he sometimes ate breakfast with Jones in his dressing trailer after the cook on set refused to fix Jones’s meals. He said the actor was “wild as a buck,” but he enjoyed the time he spent with him. He would offer to fix Webb eggs when he came to his trailer in the mornings, and even invited him to his ranch in Texas, but Webb said he never went. He said he watched Jones make himself mad before he would begin a scene in which he was supposed to act angry, and said it was a different process than the other actors. 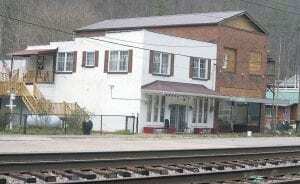 Above, Rudell Blair reminisced about the filming of Coal Miner’s Daughter in Letcher County in 1979. 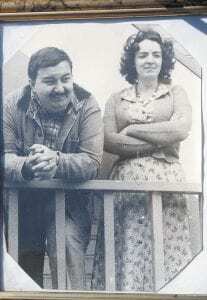 At right, Rudell and Peggy Blair in 1979 dressed for the filming of the movie in Blackey. “ He was good, but I didn’t know he was going to turn out to be the actor he is,” Webb said. Spacek had followed Lynn around before the movie to learn how to talk and sing like her, and Webb said she stayed in character even when she wasn’t on set. Webb said his first day with the actors was at Kingdom Come State Park, and he heard Lynn singing “You Ain’t Woman Enough to Take my Man” coming from Spacek’s trailer. When he walked to the trailer, Spacek kicked open the screen door, and he saw it was her sitting inside strumming a guitar. 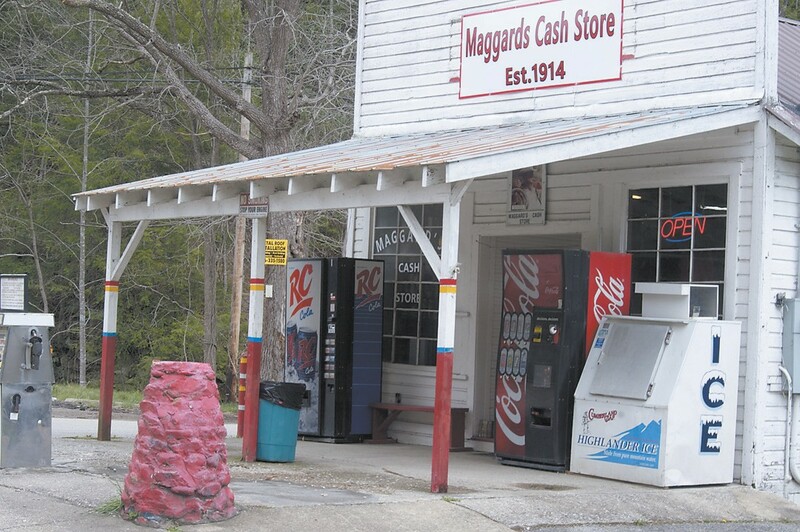 Maggard’s Cash Store at Eolia. In the “Baloney scene” of Coal Miner’s Daughter, the name J.D. 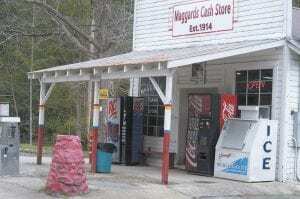 Maggard’s Store can be seen on the windows of the store. The movie became a springboard of sorts for Sprouse, who went to Hollywood for nine months to work for a casting company, then came home and was appointed Kentucky Film Commissioner by Gov. John Y. Brown. She married while working on the film Stripes, which starred actor/ comedian Bill Murray and was shot on location at Fort Knox. Here in Letcher County, much of what’s seen in Coal Miner’s Daughter is gone. Many of the extras that were seen prominently on film have died, and many of the locations have been destroyed or altered so they are no longer recognizable. Only two of the buildings used for the movie are still standing on the river side of Main Street Loop in Blackey, where 15-year-old Loretta tells 21-year-old boyfriend Doolittle she’s pregnant. All but one of the cabins at Redfox are gone, and the entire community of Pardee was gobbled up by a strip mine. The replica of Lynn’s Butcher Hollow homeplace, built at Bottom Fork, was burned by arsonists. It was on the front porch of that house that Levon Helm, drummer and singer of the rock group The Band, made his acting debut as Lynn’s coal miner father. Webb watched as the real Loretta Lynn stood nearby, he thinks with Beverly D’Angelo, the actress who played Patsy Cline in the movie. “She said, ‘That looks just like my daddy sitting up there,’” Webb said. Blair said his wife still has the dress the wardrobe department let her keep when she finished with her work as an extra. “It used to say, ‘Universal Studios,’ inside, but it’s worn off now,” he said.